Rental property is a great way to create monthly cash flow and accumulate long term wealth. But to achieve success in real estate investing, you have to know how to get started. In this beginner’s guide, you’ll learn the basics of investing in rental property. When starting out in the rental business, choosing the right location is key. So many beginning investors make the mistake of buying rental property based on its appearance, age or general condition. While these are all important factors, location stands as the most important consideration. In terms of equity growth over the years, the “right” location will provide you with the highest investment success. Focus on properties in close proximity to major roads, public transportation, schools and job opportunities. You’ll also want to choose an area with decent population growth. 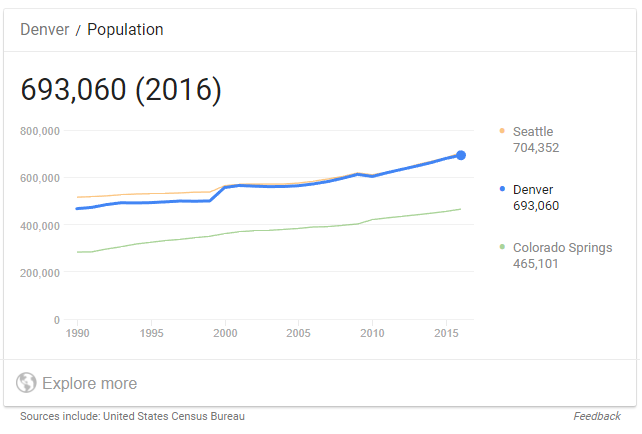 Do a google search for “Denver Population”. You should see a graph showing the population trends in the area. You can also hone in on other towns and neighborhoods by doing a similar search. Consider buying property in established neighborhoods that are loved by its community. This ensures that your property is, and will be in demand in the future. By picking a good location, you avoid excessive vacancies and rental amounts below market average. It makes common sense. If your property is in high demand, you’ll most likely see high profits. If your property is in low demand, your long-term financial rewards will be low as well. If you are passionate about rental property investments, it is likely that you’re ready to go “all in”. Try to avoid this risk in the beginning. Start with small pursuits to get your feet wet. For example, start with a single family home rather than to going for the proverbial “gold” with a large apartment complex. You have no idea what challenges you’ll face as a landlord. Mistakes managing a single property will hurt much less. Once you have some experience under your belt and get cash flowing, it’s a good time to expand and start building out your real estate portfolio. What Condition Should the Property Be In? You might be encouraged to find properties in poor condition because they’re cheap. This could be a mistake. When looking for properties to be specifically used as rental investment, look for structures in “fair” or “good” condition. It’s actually best to find properties in “excellent” condition. But, you might quickly find out that most of these aren’t very affordable. Despite this, you don’t want to choose a property that requires a lot of work, either. Your goal is to generate a profit as quickly as possible. Properties that require a minimal amount of work and may be rented as quickly as possible are ideal for the beginning rental owner. Replacing carpeting, adding a new coat of paint, and replacing a toilet is much cheaper than replacing a roof, fixing a cracked foundation, or gutting walls covered in mold. Choose your “battles”, so to speak, so you can start making money now. One of the single most important things you can do when starting your rental business is to build contacts and a strong support system. Your “circle” should include experts with the knowledge, skills, and expertise to ensure that your property is safe for habitation, adhering to local, state, and governmental laws and policies, and protect you and your money. First, make a list of all the roles you will need to fill. These will include realty professionals, HVAC experts, plumbers, carpenters, property managers, accountants, and attorneys. Next, start researching companies and contractors to find people that you would love to work with. Reach out to those people and start asking questions. Begin the process of building strong relationships. 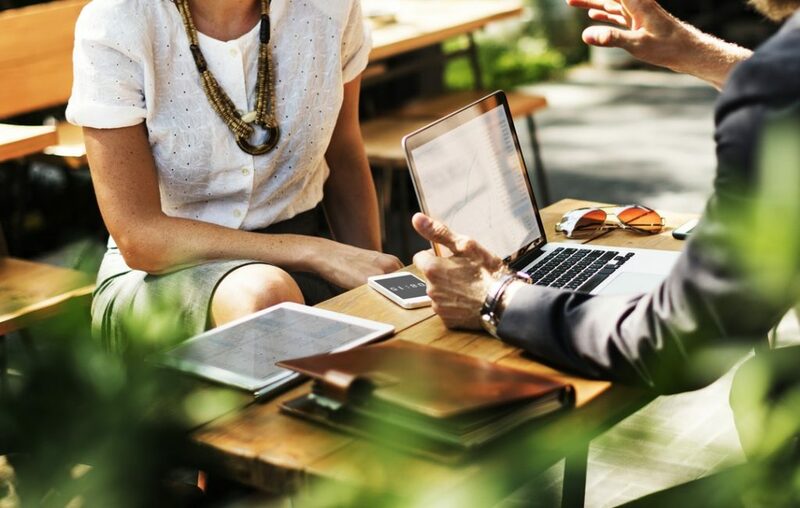 By creating an appropriate “circle” of professional contacts, you will find that you achieve the highest level of success at the lowest costs, over time. It’s long been the advice of real estate pros to focus on appreciation of a property. Since the 2008 market crash, this is no longer the case. It’s now most important to create immediate cash flow and optimal rate of return. In the residential rental market, the return on investment percentage should come in no lower than 8% and usually averages higher, somewhere around 15%. To find this number you need to know a few things. In commercial rental property, take the net of the operational income and divide it by what rent amounts are charged in the area and charge that for the rent. Before purchasing any rental property, it’s important to take your monthly expenses into consideration. Each month, you will be required to pay the mortgage, the taxes, accounting required to document the business, as well as other tasks, such as the maintenance of the lawn, if a pool is present the maintenance on that, as well as any cleaning services required. Furthermore, you will likely experience a vacancy – at some point in the year – or have to evict a tenant. At the minimum, you should expect at least one to two months of your rental income to be depleted each year in order to handle the expenses associated with the property. If You Over-Improve, You Will Under-Cut Your Profits. In the rental business, you will need to do maintenance and repairs as you experience tenant turnovers. You need to know this – right up front. As a result of this fact, it is important that you avoid over-improving because you will immediately under-cut your profits. It is rental property. You do not want to overspend on upgrading it. You simply have to make sure that the property meets the appropriate standards when renting to tenants. By doing maintenance and repairs when necessary, you can keep the rent each month at approximately 1.4 times the overall cost of the property. Not only does this increase your profits, it will provide you with the right amount of financial cushioning to handle necessary expenses. One of the most productive steps that you may take when investing in rental property is to purchase home warranty coverage. This usually averages approximately $500, annually. You gather the information and provide it to your tenants. Inform them that a deductible will need to be paid to the home warranty company each time that something needs to be completed on the property. By setting this expectation and informing them of the fact that they will need to pay for this deductible, you will quickly discover that tenants are less likely to overburden you with basic maintenance tasks. When reviewing investing in rental property for beginner guides, you will quickly discover that one of the most critical aspects to your overall success is the tenant selection process. This is a stressful, time-consuming process, but, it must be done. You must be willing to go through the screening process in a comprehensive manner and must be able to appropriately assert yourself, if the situation calls for it. Dealing with tenants is one of the most challenging and cumbersome aspects of a rental business. If you are the type that usually waivers with others, finds yourself unable to deal with hassles, or you lack the time and the patience to deal with this aspect of the rental business, you must enlist the assistance of a qualified property manager. After all, the tenants are the core component to the success of your rental property. Renting property involves more than just picking, choosing, and dealing with tenants, you must also set up guidelines associated with your property. In order to achieve massive success in getting your rent money, you should make certain that all tenants have verifiable income for a set length of time and that their income is – at least – three times that which you are charging each month for them to sublet your property. You should also outline other types of criteria. Examples include whether or not you allow pets, how many people may reside in your property, and details that are similar in nature. Remember, you must follow all local, state, and federal laws when outlining tenant criteria. To ensure that you are in regulation, it is best to allow a certified property manager to handle these tasks. Regardless of what anyone in or around the rental property business says or tells you, a written lease is an absolute must. This is a clear outline that specifies all of the details about the expectations that you have in regards to tenants. This includes specifications on what is allowed, what amount must be paid each time the rent is due, when the rent is due, details on any late fees, cleaning expectations, pet policies, and similar items of interest. Remember, this is a legal document. It does not matter how long, how detailed, or how stringent – this is your property and a written lease will not only protect you, but, it will provide a certain level of protection over your property, and protection for your tenants, too! Are you overwhelmed? Chances are, after reading this investing in rental property for beginners outline, you probably are. Renting involves more than just purchasing an investment property and making a little money. It is a business that provides homes to individuals, to families, and to groups that are trying to make it in the world. It is your livelihood. It will be your future. You must ensure that you are protected, your rental property is protected, and your tenants are protected. There are rules, regulations, policies, and laws that must be adhered to. There is maintenance that must be done and repairs that will come up. Why do this on your own? We can help! 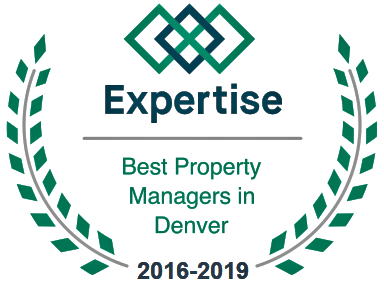 Our team of dedicated property managers can help you with the entire process – from purchasing a property to managing that property! Get in touch for more information.